Shoppr, The new platform for fashionistas! Hye there fashionista! Yes you! Always had a thing for fashion? Want to inspire others with your own style? Love starting a new fashion trend? Or you love to keep yourself updated with what's new ? Then here is an app just right for you! 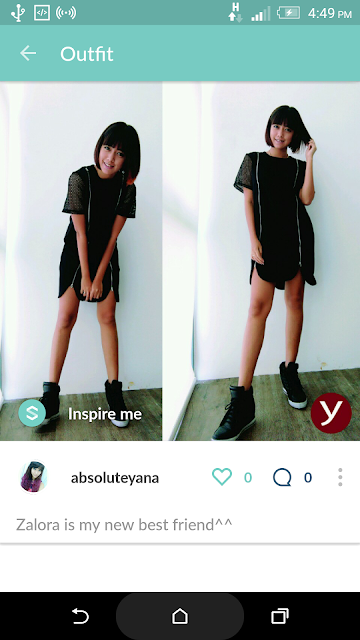 Shoppr is an app to post up all your favourite OOTD whenever and wherever you are at. I myself just discovered it a few weeks back, thanks to facebook ads. This is how my profile looks like, pretty straight forward , isn't it? It shows you options of similar outfits, and for me this is genius! Well, if you have a thing or two for shopping and fashion, this is just perfect. Not only you get to know which brands are these outfits from but also it states their prices, which makes it easier to know whether it's in your budget or not. Honestly, its a really simple app. Post your own fashion statement, share it with other fashionista, get inspired along the way and every once in a while, there are free giveaways too! So, why not try out Shoppr today?? Love this post! Thank you for your support, Yana!